beautiful brown paper scarf to review. I think its a trick. 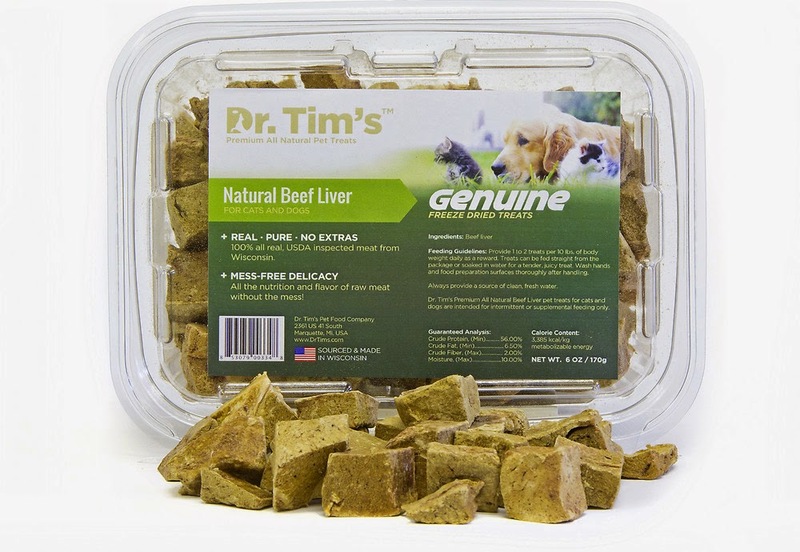 Dr. Tim's freeze-dried beef liver treats. I We love these treats. They are for me and kitty kats too. And they are made a few states over in Wisconsin. These delicious treats even come in a handy dandy container. Do we recommend Dr. Tims? YUM! I wish Truffles was a bigger fan of freeze-dried treats. Dr. Tim's are the best! 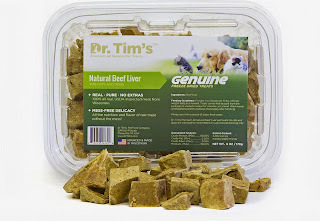 Pure freeze dried goodness. Well Edward that scarf appears to be recycled so I say bravo for Chewy for repurposing it. The last photo is just priceless! I can tell those treats look soooo tasty! That's nice that yu shared Edward. How did Lily like the brown scarf? Bol! We love Chewy!!!! And We love Dr. Tim and his many yummy treats. We haven't had these yet, but everything he makes is so good. Thanks for telling us about these. So nice that you shared, Edward! Especially seeing the look that Lily is giving those treats in that third photo! We buy the Dr. Tims for our nose work rewards. Yummy stuff! Oh Lily and Edward you are so sweet, I luffs the look on your faces at the sight of those treats! Priceless! Oh Lily, I love your eyes they are lit up with, Give Me Some! Those look SO TASTY!!! We're glad you guys SHARED and liked them so much! Great review! Oh, those look really delicious! We were thinking about them! You look stunning in your brown paper scarf, Edward! haha We have had Dr Tim's treats and they are to die for! How the snot did Mom miss pickin them....we gotta go bark at her for that...thems awesome stuffs! We think that new scarf goes great with your furs. BOL! Those treats sure do look tasty. Mommy says everything from Wisconsin is delicious so I am hoping to try these. I love freeze dried treats. Thanks for the review.